Royalty-free stock illustration of an irritated cave man raising his hands up in the air in anger while holding a torch, possibly trying to scare something away. Royalty-free stock illustration of a cave man sitting on a rock and roasting a piece of meat by the fire. 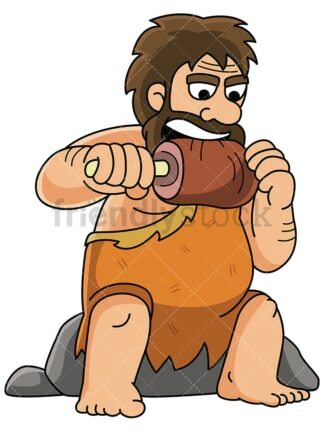 Royalty-free stock illustration of a cave man sitting on a rock and grabbing a bite from a piece of meat. 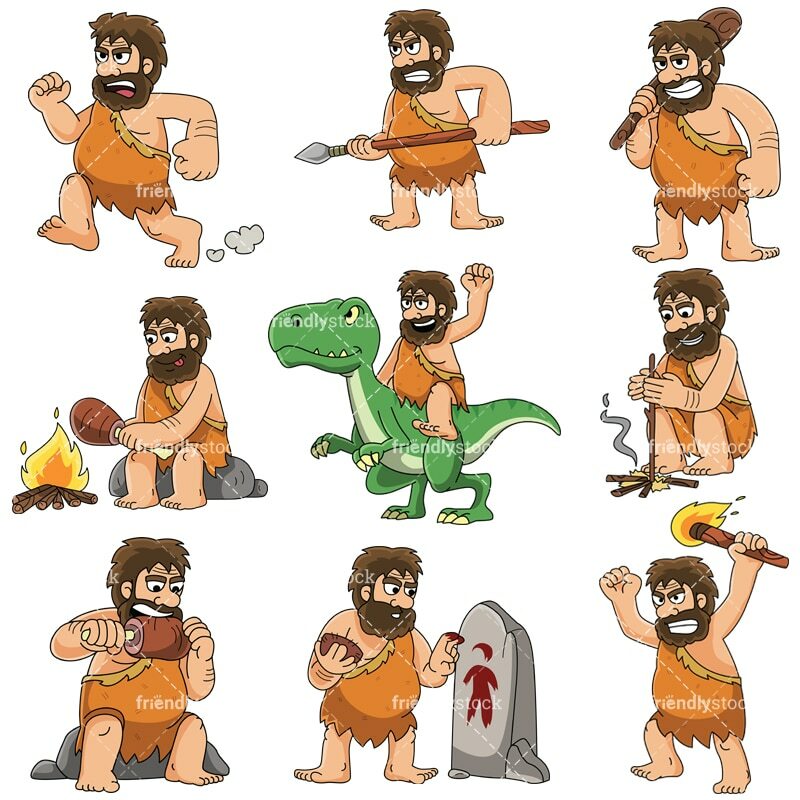 Royalty-free stock illustration of a cave man making fire by rubbing sticks. The friction buildup will hopefully turn wood into ember for the cold night is near! Royalty-free stock illustration of a prehistoric cave man dipping his fingers into red pigment and then drawing a picture of himself on a large stone. 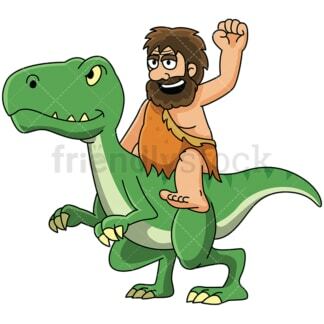 Royalty-free stock illustration of a prehistoric cave man riding a tamed dinosaur and raising his fist up in the air in triumph. Royalty-free stock illustration of a startled cave man running very fast as if he is trying to get away from something. 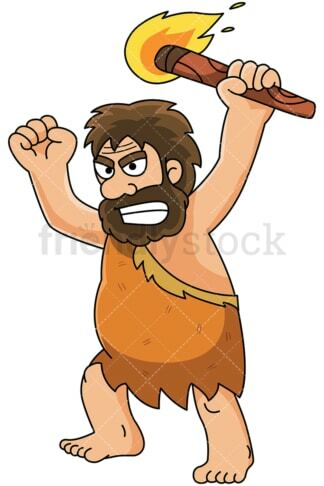 Royalty-free stock illustration of a provoked cave man standing on alert with his spear, ready to defend himself. 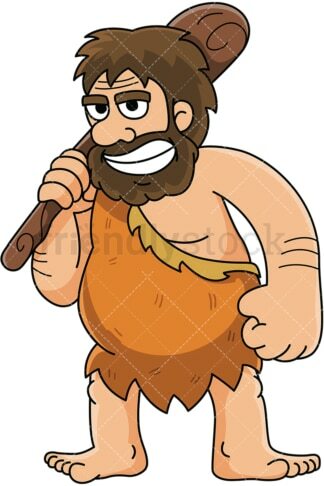 Royalty-free stock illustration of a prehistoric cave man carrying a wooden bat on his shoulder and grinning.